We all want to do what we can for the good of Earth; Telescope makes it easy with the fantastic Leeward MGP Sling Bar Height Swivel Arm Chair. 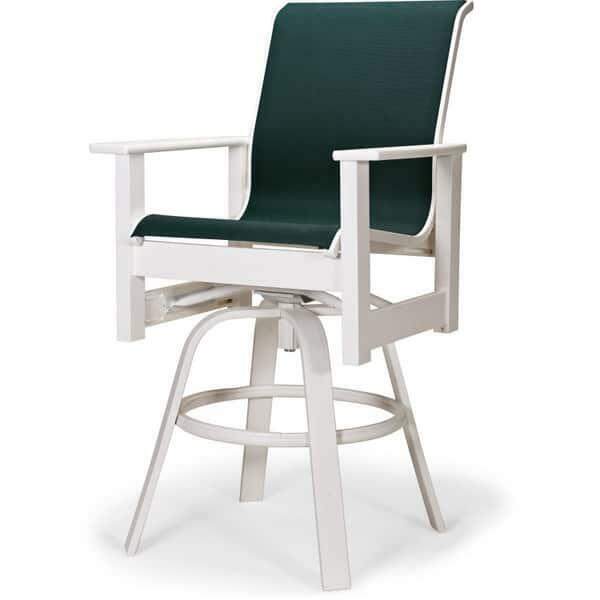 Constructed of recycled and recyclable marine grade polymer which is water repellent, weather, insect, crack, and mildew resistant, the Leeward Sling Bar Height Swivel Arm Chair is the perfect outdoor bar stool. Durable and beautiful, it is backed by Telescope’s 15 year frame warranty, the Leeward is made in the USA!